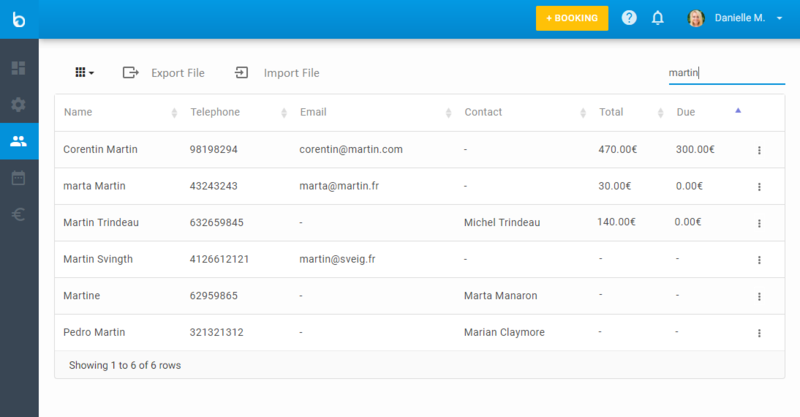 Easily access bookings and get organized with everything in one place. 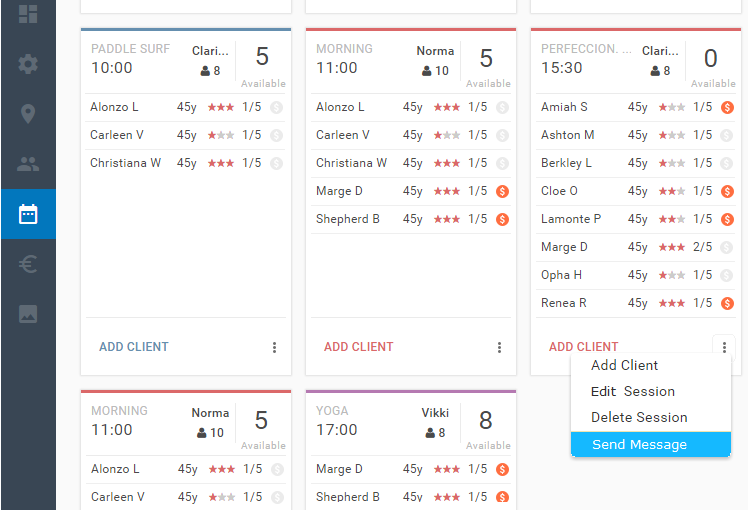 All your team is connected via our simple interface that helps stay on top of your activity. 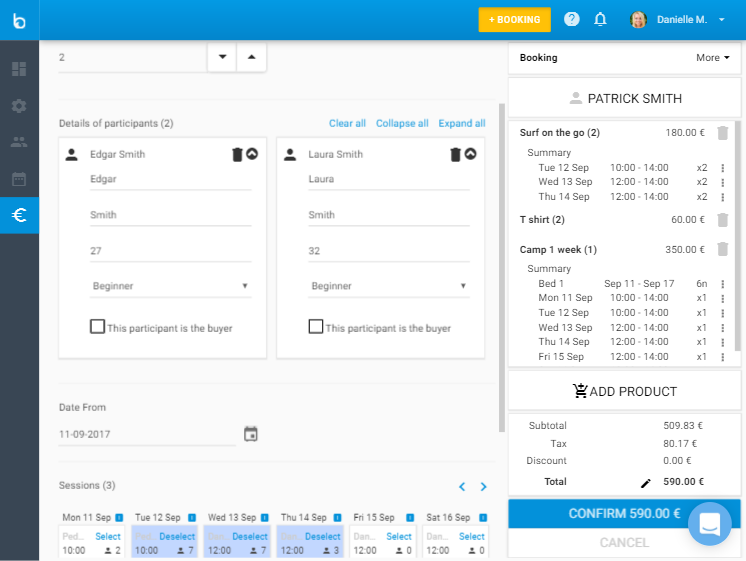 Access updated availability and manage your different agendas for Activities, Staff, Rental and Accommodation. You can easily schedule your activities to follow regular hours or following to the tide, so that you quickly setup your week-end or season calendar. Weather forecasts are also integrated in the app. Save time checking for the participants. 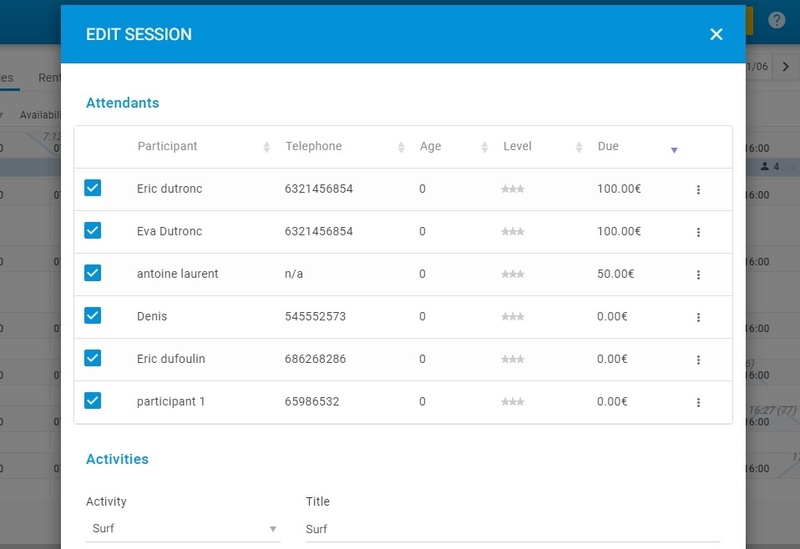 Consult your activity manifest for a better control on attendees, payments status, etc. 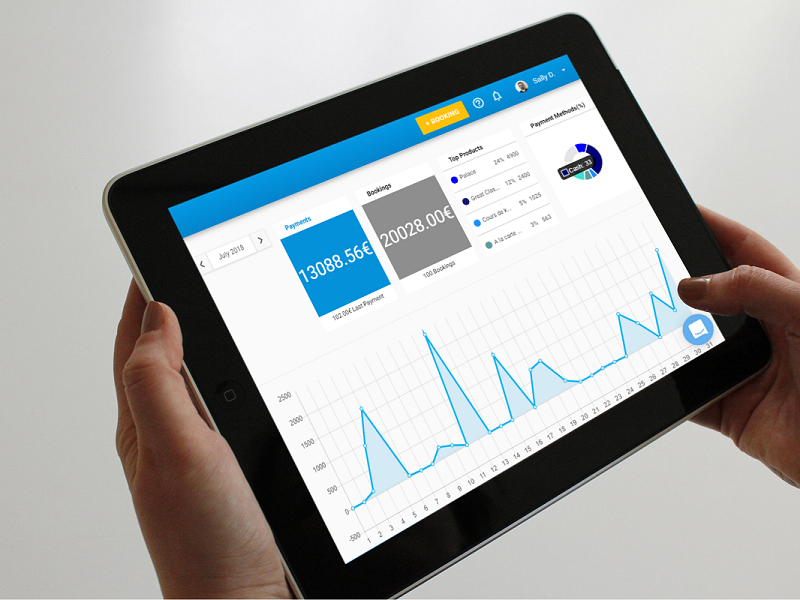 Get a better control over your business operations and easily export the data that you need. Easily set up your watersports products such as classes, summer courses, rental, accommodation or goodies. Define your prices and discounts - they will be automatically used in bookings. You can still edit prices on the go, for example when classes are cancelled. Segment your customer database and engage them accordingly : per expense value, products bought, origin, etc. Let the back-office do the work and send timely, automated emails like confirmation, payment, changes or cancellation that will convey trust and professionalism. Integrate with your 3rd party solutions as emailing or accounting.